Today would have been my father's birthday, and I thought it apt (especially with a new movie recently released) that I posted about my life with Star Wars. 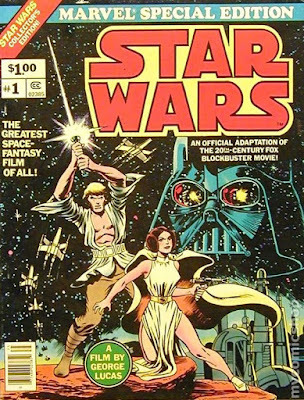 My earliest memory of Star Wars is thanks to my dad. It didn't happen often in his line of work, he worked as a nurse in a psychiatric hospital, but there were a couple of instances where he went away for training or something. I was too young to really know what he did, but in 1977 he went off for a week for work somewhere, and when he returned he brought back gifts for my mum and me. He gave me two action figures from a film that the toy store clerk said would be big, called Star Wars. We'd not heard of it, but I was thrilled to receive these figures - Chewbacca and R2-D2. The original UK production run from Palitoy, with the illustrations of that first wave of figures on the back. My parents had a great sense of value of things, and while I was encouraged to take the toys out of the blister packaging to play with (after all, that's what toys are for), my mum suggested cutting the top of the blister carefully with a knife so that the figure could slide out, and I could put it back when I'd finished. Brilliant. Up north, the nearest cinema that was showing Star Wars when it was released was really the only cinema showing Star Wars. The Dorchester in Hull had been closed for years, but reopened just to show Star Wars. And that was all it screened. Three times a day, every day, for over a year. It had one screen. A huge screen, with a balcony seating area. But you had to book weeks and weeks in advance. I remember my dad asked his brother in law to get us some tickets as we rarely went into Hull. 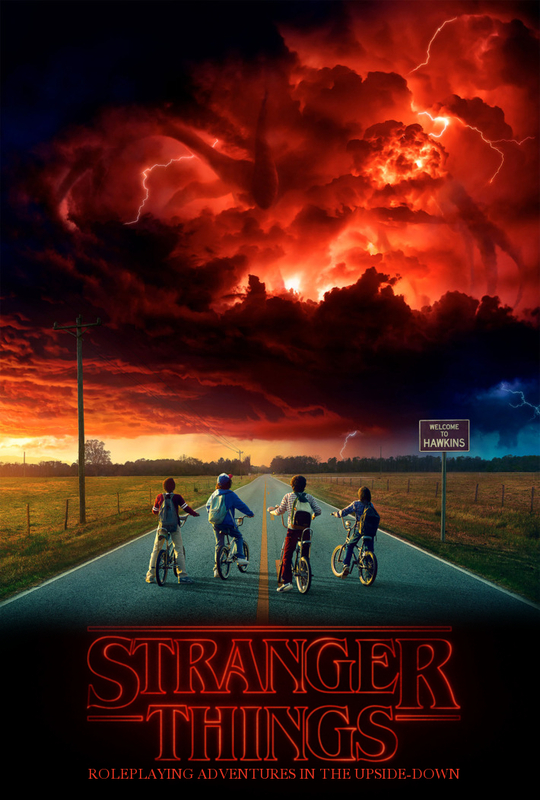 The earliest we could get was about three months away, but the day came and as a family my mum, dad and I went to the cinema one afternoon and witnessed the movie that would change my life. My mum was in a wheelchair, so we sat right near the back on the ground floor. The balcony almost obscured the top of the screen, but not quite. However, when the first crawl had finished, and the Tantive IV entered the frame, followed by the Star Destroyer, my mother nearly shot out of her chair, convinced they'd come from the balcony above us. From that moment on, I was obsessed. I went to see it again with my sister and brother-in-law a few months later, and collected the figures, and read the novelisation and the comic over and over again. I have particularly fond memories of our town carnival in 1978. My obsession with Star Wars continued, and my dad was just as enthusiastic. He loved dressing up every carnival and joining in the parade, and we quickly decided we'd dress up as characters from Star Wars. My dad loved Darth Vader, and we searched everywhere to get a Vader helmet, but it was both incredibly hard to find and also well out of our price range. We couldn't afford the £50 for a helmet back in the late 70s. So we ad-libbed. 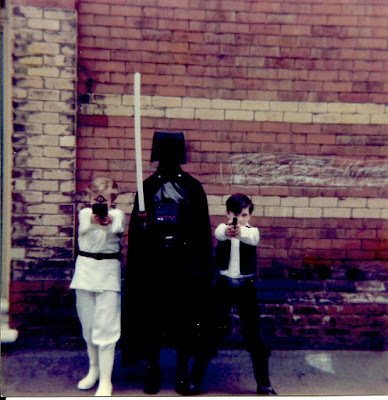 The photo shows me in my Luke Skywalker outfit (more on that later), dad as Darth Vader, and my best friend at the time, Tom, dressed as Han Solo. Dad's outfit was basically black clothes, a cape which he already had, and my lightsaber (though we couldn't afford a licensed one, my parents kindly bought me what was sold as a "Force Beam"). The helmet was a work of genius though. A black balaclava with a black bucket with the front cut out stitched onto the top. We'd found some black plastic grilling, and cut a rectangle of it (which we added buttons to) to make the chest controls, and cut a triangle of the grill and stitched it to the front of the balaclava. Then my dad put on his glasses, and clipped on some sunglasses, and bingo! I think we even did the shiny shoulder piece with a bin bag. Mum made my outfit, and we borrowed the white wellies from a friend of the family who worked at a fish processing factory. I don't think we won the fancy dress competition, but it didn't matter. 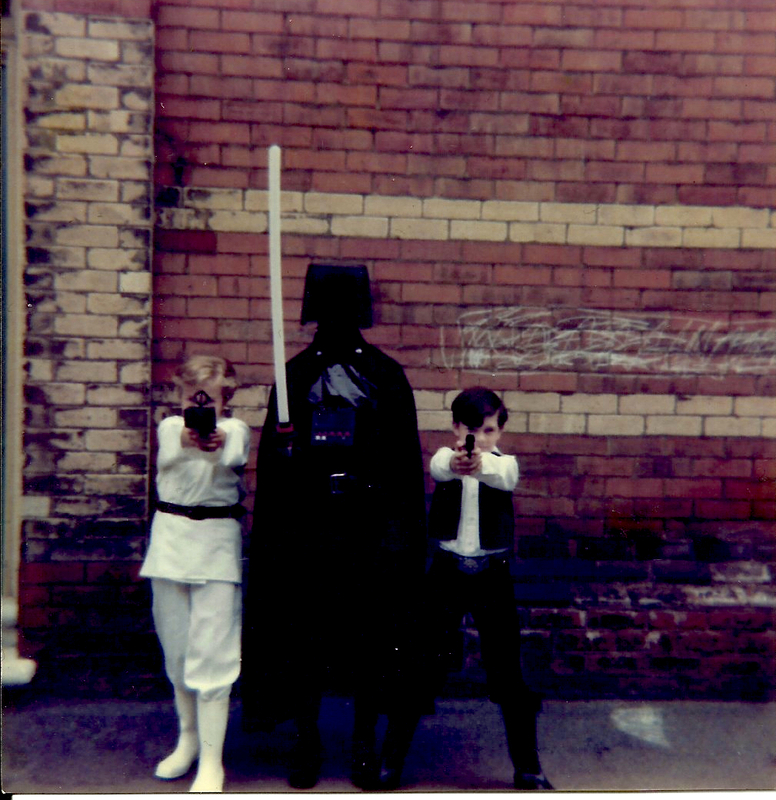 We had fun, my dad was the coolest with his Darth Vader outfit, and I got to be Luke Skywalker. While everyone I knew thought Han Solo was the coolest character in Star Wars, I just wanted to be Luke. Luke was everything I wanted to be. Especially when he underwent his training and learned the ways of the Force. When Return of the Jedi came out, when I didn't have to wear school uniform I started wearing all black because Luke wore it in Episode VI. I remember one of our gaming group (Crud, sorry about the nickname) calling me "Jedi" like it was a derogatory term. It's what I wanted to be. Peacekeeper, honourable, brave, never attacking. My parents didn't get to see the sequels. My mum was in a care facility for months before she died in 2012, but she insisted that she had a copy of the Star Wars trilogy on DVD while she was in there. I don't think she ever watched them though. 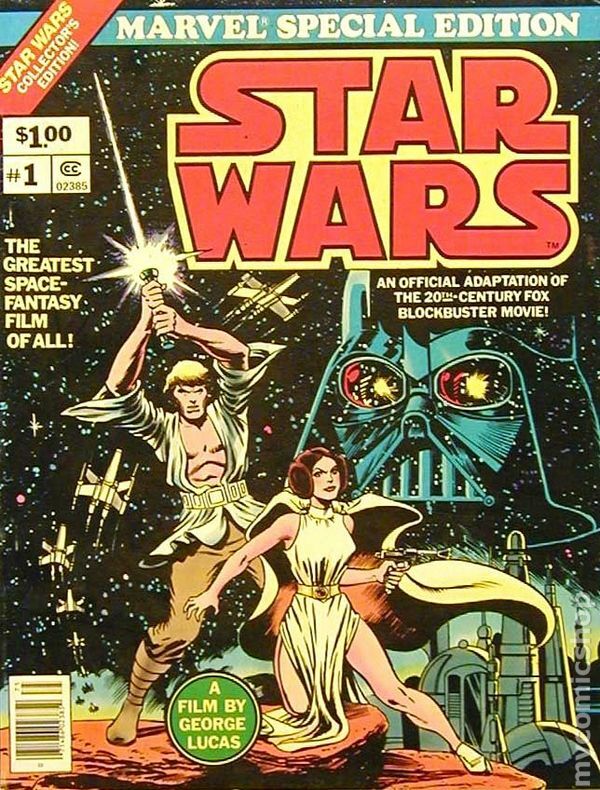 But, thanks to my parents introducing me to Star Wars, I can't help but think of them when I see the movies, new or old. Needless to say, Debs and I went to see Star Wars: The Last Jedi on its opening day, and we loved it. I know there have been criticisms from whiny fans about how different this one is, but I really enjoyed it. I loved The Force Awakens as well - brilliantly merging the old characters with new. My only disappointment with that one was the lack of Luke Skywalker. The Last Jedi makes up for this with plenty of Luke screen time. Yes, this is not the Luke Skywalker we're familiar with, but there are notes and nuances that tug at the heart and remind you that even though Luke has shut himself off from the Force and the rest of the galaxy, deep down he's still the hero I wanted to be as a kid. Debs, in her infinite wisdom, pointed out as we walked away from the cinema that his film was all about consequences and sacrifice. The archetypes of the characters are thrown on their heads, and the courageous acts that would normally save the galaxy are revealed to be foolhardy and put people at unnecessary risk. It's a great movie that really turns what we expect from Star Wars around, and we'll certainly be watching again after the festive season is over. It's been a while since I posted on here, and there's been a good reason. I've been writing! Hurrah! No, it wasn't NaNoWriMo. It was a bit weird. I was in that limbo that I mentioned a couple of posts ago, wanting to do something and feeling a bit lost, and before you know it, I'd been given a quick gig. I can't say much, except it's under the working title of "The Spirit of Manhattan" and is really is a blast to do. It's only short, though I do seem to be dragging it out a bit (always the way this time of year with the dayjob and family matters) but it is a really cool bit of gaming archaeology for me. Digging back to my gaming roots, so to speak. There will be more info soon, once it's a bit more complete and it's properly announced. Typically, it has sparked off lots of creative thoughts about WILD, and I'm really looking forward to getting back to it. After that post I mentioned, where I was desperately clamouring to work on those licenses, I had a moment of clarity. It snuck up on me, but I was watching "The Conjuring" (of all things) and I suddenly thought of how it would work with WILD. And then I thought about Stranger Things, how I was complaining that there should be an RPG of Stranger Things, and I realised... it works with WILD. And I thought about Twin Peaks (God, I love Twin Peaks), and how I wanted a Twin Peaks RPG, and I knew, deep down, that it was easily compatible with WILD. I realised, that I should stop worrying and just get on with WILD. So that's what I'll be doing. I'm going to finish "The Spirit of Manhattan" (hopefully this year) and then in the new year, unless someone hands me the keys to a cool license, I'm going to get back to WILD. I'll hope to post again before the end of the year, but in the meantime, hug your loved ones, stay safe, and stay multiclassy.